Celestial style is breaking into interiors and we’re all for it. 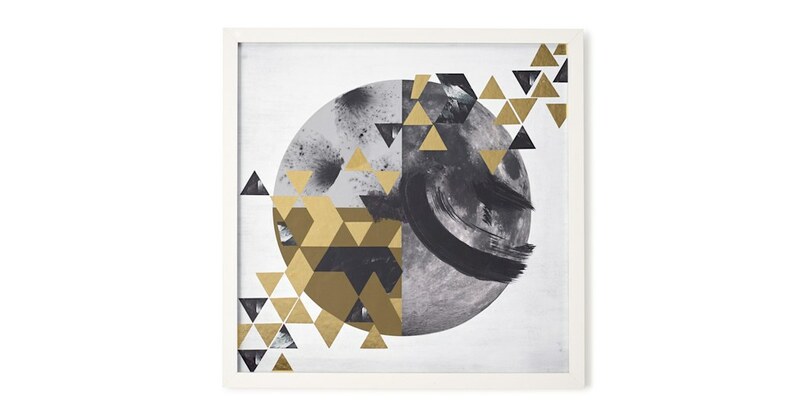 This monochrome planet illustration gets an out-of-this-world upgrade with gold overlays. Perfect for adding the metallic trend to your home. Nothing guarantees a showpiece like metallics. The gold foil triangles have been hand-applied throughout this print to ramp up its already stellar style.